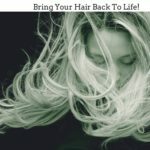 Monat Hair Care Line – Monat created several natural scalp and hair care products to give a very straightforward solution to thinning hair, dry hair and split ends. Monat formulations along with its natural ingredients were based on clinical studies and tests with documented results. The suppliers of the materials offer the results of their respective clinical tests to help Monat validate the benefits. Learn more about Monat here. All Monat formulations have not shown any potential to cause an allergy or even any form of irritations. The products were all tested in different independent laboratories. In fact, all of their formulations were clinically tested safe for human use. We all know that we do not want to see balding hair. In short, we don’t want to see just the scalp. We do want some hair on it. The Intense Repair line is the formula designed for individuals with thinning hair and seems to lose hair density. The Intense Repair line formula has been designed to protect the hair against frictional and abrasional wear and tear. What does this mean? See it this way. We wash our hair in concentrated surfactant solutions, use chemical dyes and treatments for hair coloring and style it with heat with considerable abrasion almost every day. Because of this, the structure and health of the hair become compromised. Literally, when the properties of the hair are altered, it gets damaged! Weathering, combing, brushing, washing and abrasion damages the hair. The edges become irregular and chips away. Say hello to split ends! 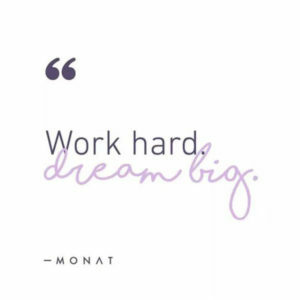 How To Join Monat, click here. More damage can be seen towards the tips of the hair than the roots. It is because the hair shaft is dead and is unable to repair itself. Split ends start to show at this stage. An extensive damage may eventually expose the cortex to the point that there is no longer a cuticle. If you cannot stop yourself from using heat, you can try the Blow Out Cream for some heat protection. Monat shampoos and conditioners were designed to make your hair look shinier and healthier. The products shall rinse off the scalp and cover the damaged parts of the hair so it may regain its natural shiny state and healthy look. All of the products of Monat are clinically reviewed and tested to make sure they do not cause hair breakage, hair loss or hair damage. All of their products have undergone the required safety assessments for human used. Let us be clear on one thing. Monat products prevent thinning hair, but are not designed to grow your hair. The products just provide the environment perfect in supporting a healthy scalp and hair. In fact, Monat’s Rejuvenique Oil Intensive contains active botanicals captured in a proprietary blend formulation designed to boost hair strength and luster that can help boost hair growth. The formula creates and maintains a healthy environment that promotes strength as well as increases density. The proprietary formula nourishes and energizes the scalp, which is the main reason it can add volume, repair the hair and prevent hair thinning. Its blend of natural ingredients provides the vitamins and minerals needed to keep a healthy hair, as well as antioxidants, beta-carotene and the Omega 6 fatty acids that mimic the body’s natural oils. Monat is a brand you can trust to truly care for your looks and hair. The Studio One Collection eliminates the frizz and also protects the hair from any damage that may be caused by heat styling tools. Studio One Collection contains ingredients that are exclusive to the proprietary use of Monat only. 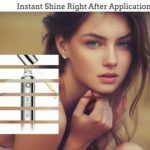 It can protect the hair even hours after the application. The collection has performed very well in its pre-launch. The Fixate Plus ingredient of the Studio One Collection exceptionally provides high humidity resistance, but still feels weightless. Protection from high heat tools is the number one concern of almost every woman regardless of age. Think life can be so dull without these tools! Monat worked around the problem and given the solution through its collection. Disappointed with your current shampoo and conditioner? 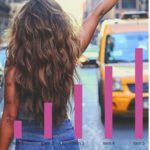 Try Monat hair care line!